Throughout history, gold has represented wealth and power. The value of gold has withstood the test of time and today remains (increasingly) an essential part of the foreign exchange reserves of almost every nation. It is interesting to note that the world�s central banks still hold approximately 60% of the world�s above ground bullion. Major banks and brokerage firms trade gold, silver and platinum at their currency desks, and not their commodity desks. This 2006 quotation is prescient based on the credit crisis experience of 2008. As we know countries around the globe have since borrowed and printed massive sums of money in an effort to stimulate their respective economies. Increasingly concerns over the real value of fiat currency are emerging. Gold is viewed as a safe haven in times of financial and geo/political uncertainty. Gold has historically provided a hedge against inflation and currency devaluation (printing of money). 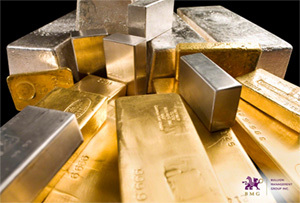 Gold and precious metal prices provide useful diversification because values tend to be negatively correlated to the traditional asset classes of stocks, bonds, and cash.